Conan! What is best in life? To crush your enemies! 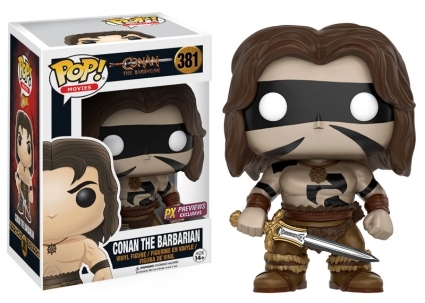 No, wait, what he meant to say was—2016 Funko Pop Conan the Barbarian vinyl figures! Based on stories by Robert E. Howard, Conan the Barbarian (1982) is set in pre-historic times when brutality and sorcery ruled the land. 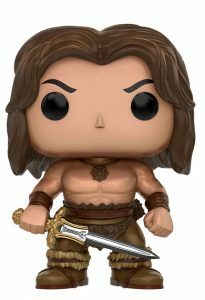 Conan, famously played by Arnold Schwarzenegger, is a Hercules-sized Cimmerian who seeks vengeance for the death of his parents and people. Responsible for the murders is the snake cult leader Thulsa Doom, portrayed by James Earl Jones. Conan the Barbarian helped transform Schwarzenegger into a mega movie star while becoming another ‘80s cult classic film. 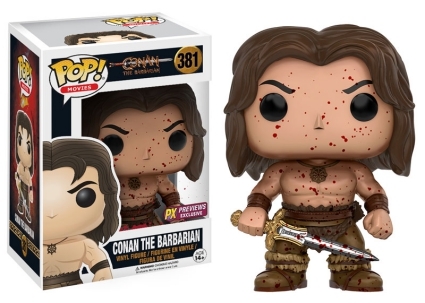 Although the initial Funko Pop Conan the Barbarian release has just one base figure with two variants, any Conan fan is sure to want all three. Each shirtless 3 3/4” figure is stocky with defined muscles and features Conan holding his sword. The PX Previews variant exclusives are posed the same as the main figure, however, one is covered in blood splatter and the other figure has the face and body painted for war. 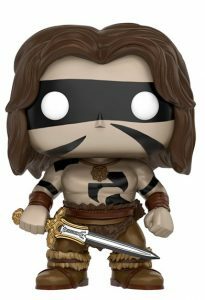 2016 Funko Pop Conan the Barbarian is numbered as part of the massive Pop! Movies line. Funko Pop Lot Marvel DC Star Wars MOTU GOTG DBZ GI JOE & More HTF Vaulted RARE! !